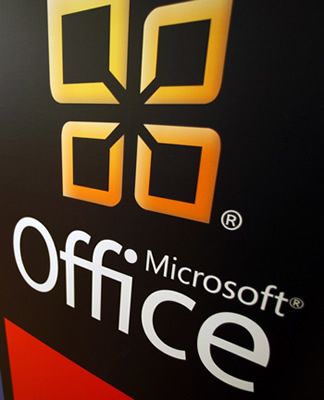 On its Office blog, Microsoft announced several aging features to be whacked by the deprecation hammer in Outlook 2013. Amongst these imminent changes is the elimination of importing (and exporting) legacy Microsoft Office formats, namely 97-2003 .XLS and .DOC files. It's unknown if other areas of Office 2013 (e.g. Excel and Word) could adopt a similar distaste for legacy file types, but any decision of that magnitude seems highly improbable. Rather, I suspect this aging-format abrogation will remain isolated to the infrequently used Outlook import and export features. "As much as we love adding new features to Outlook, for the maintainability of our product we sometimes need to remove those that are out of date and aren't utilized by a large number of users." the blog post's author wrote. Outlook's ability to import files like .XLS and .DOC is mostly used for importing contact information -- a rather specific feature which presumably still works with newer .XLSX and .DOCX formats. Although the blog post doesn't say specifically, it may be reasonable to assume that "Mail Merging" will also be affected. Also disappearing in Outlook 2013 is its "Classic Offline Mode", which has been replaced with "Cached Exchange Mode". This likely explains why "Deliver to PST" has been usurped by its cache-friendly, OST-based alternative. Gone too will be the "Journal" feature, Windows Explorer-Outlook search integration and Outlook's independent VPN / Dial-up Settings. Users who utilize VPN or Dial-up connections are now being directed to set those options system wide via the Windows Control Panel (Windows Key + R > control > Internet Options > Connections). Meanwhile, users looking to search for items in Outlook 2013 will need to stick to the client's built-in search or third-party utilities. PubCal, which offers the ability to publicly share calendars on Office.com, is also being discontinued for all Outlook clients. Microsoft says it will post more details in the future about moving away from PubCal, including instructions which will allow users to achieve the same set of features via Outlook.com.